Wicked Laird by Tammy Andresen | Yet another blogging mummy!!! I have received a free e-copy of the book Wicked Laird by Tammy Andresen to review. Laird Blair Sinclair doesn’t need help from any man. Though the second son in the Alban line, he is as strong as his brother Stone and even more determined to build a shipping empire with his own two hands. He doesn’t have time for anything or anyone else. But when he rescue’s a beautiful woman, he can’t deny that Elle needs him. Nor can he rid himself of the feeling that he wants to need her too. Elspith McIntre learned the hard way to only rely on herself. Which is why it’s infuriating that she requires help from the arrogant new laird. It’s even more maddening that she can’t get rid of him. She wants no man and especially not a powerful one who could decide to crush her at any moment. She will not make that mistake again no matter how tempting the thought of leaning against his powerful chest. After the death of their parents, six siblings unite around their eldest brother, Stone. They consider blood a binding oath and vow to protect one another. They all must face their own demons as they find love and their places in the world. This is the second story in the Brethren of Stone series of which I have previously read the prequel, The Duke’s Scottish Lass and book one Scottish Devil. It is set in the Scottish highlands in the late 1700’s. It begins with Blair Sinclair, the new laird and brother of the Earl of Alban spotting someone in difficulty in the sea. He rushes down to the beach and swims out to the boat, rescuing someone in the nick of time, just as the boat sinks. It turns out to be Elle Mcintyre, who had borrowed the boat from her neighbour to go fishing to catch something for dinner for her 12 year old brother Ailean and herself, as they had run out of money. Elle wonders how she is going to pay back her neighbour for the loss of the boat and what will Blair want in recompense. She knows nothing comes free from her previous experience with nasty landlord Malcolm McKenzie. Even with her injured ankle, she tries to cook a meal in Blair’s cottage whilst he fetches Ailean and other boys to help drag the boat up at low tide. How will things turn out, especially with Malcolm wreaking havoc everywhere? Wicked Laird is available on Amazon, currently priced at £3.06 in Kindle format. As per usual, Tammy has lived up to expectation, with this nice short romantic story. USA Today Bestselling Author, Tammy Andresen lives with her husband and three children just outside of Boston, Massachusetts. She grew up on the Seacoast of Maine, where she spent countless days dreaming up stories in blueberry fields and among the scrub pines that line the coast. Her mother loved to spin a yarn and Tammy filled many hours listening to her mother retell the classics. It was inevitable that at the age of 18, she headed off to Simmons College, where she studied English literature and education. She never left Massachusetts but some of her heart still resides in Maine and her family visits often. 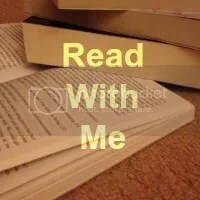 This entry was posted in Book reviews, Reviews and tagged book review, books, fiction, historical fiction, review, romance, Scottish, Tammy Andresen on January 25, 2019 by mumjd. At one time I would have loved these books, but I went off them a while ago. It’s funny how tastes change over time. It’s been a while since you’ve shared one of these reviews. I always like to read the reviews, and the cover photos always make me laugh, but I don’t think the books would be my cup of tea. This is an intriguing review and although it isn’t a genre that I would usually read it sounds like a compelling read. Oooh, I haven’t heard of this series but I think I’d enjoy it. Will have to look them up.